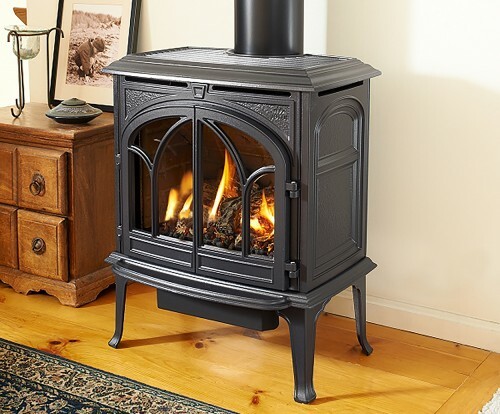 The Jøtul GF 400 CF presents the perfect union of high efficiency and cast iron beauty. Its classic lines and Gothic arch double doors frame a hand crafted log set. Completed with flames and glowing embers that give the Jøtul GF 400 CF unrivalled realism within the gas stove industry.